The most common testicular deformities are testicular hypoplasia and cyptorchidism. These conditions can be in one or both testicles. 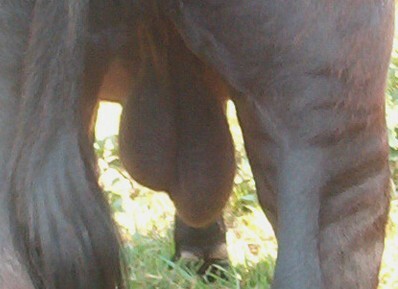 Testicular hypoplasia is a condition where the bull has an underdeveloped testicle. Cryptorchidism is an undescended testicle that has not come down into the scrotal sack. Both conditions are typically inherited and in some cases the same defective gene may cause deformities in the internal reproductive organs of female relatives. In order to limit the occurrence of reproductive deformities in the breed, bulls with testicular deformities should be castrated. Special consideration must be made in the case of cryptorchid males. Removing the descended (normal) testicle will make them infertile but will not prevent them from behaving like a bull, since the undescended testicle is still producing male hormones. These animals may not be suitable for pets or oxen without more extensive surgery. 3. I do not know if Woodmagic Beaver was truly a monorchid, cryptorchid, or had one small testicle. The terminology is often confused. Quailgate Arthur does have Woodmagic in his pedigree, through Galaxy. 4. I have had two hands-on experiences with a similar deformity. Both were produced from the very old Emerald line, many years ago. This is the Emerald herd name (Randall), not Mrald (Millman/Emerald Park), so these animals’ pedigrees were limited to bloodlines in the U.S. prior to the importation of Woodmagic/Cranworth. The two calves were surgically castrated at about eight months of age, and the deformed testicle appeared smaller and rounder than its normal counterpart. Dexter Bull With Testicular Hypoplasia of the Left Testicle. my Polled dun bull has low sperm count . Anyway to fix that? There are so many questions associated with this: How do you know he has a low sperm count? If he was tested, what were the other details of the report? How old is he? Are your cows open? Or, has he just bred a bunch of cows and did not collect well because of his breeding activity level? Regardless, the biggest factor in most Dexter problems is poor nutritional support. 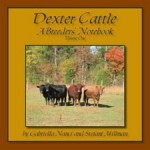 For instance, Dexter breeders are sometimes told at their local feed store that a red mineral salt block is a good supplement for cattle. It certainly doesn’t hurt anything to provide one of these, but it mostly provide salt and entertainment. I read somewhere that a cow would have to lick the block 10 hours a day to get enough minerals from it. 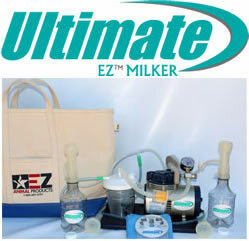 Several deficiencies, especially zinc, will damage fertility in bulls. I always recommend a poured (not baked) protein tub for low-effort, high yield supplementation. (There is another article about protein tubs on this site.) There are a lot of mineral supplement products out there, and some are probably better than protein tubs, but a little higher maintenance. Remember, the most important feature is not how many ppm of each mineral is in the supplement; it is whether of not they will eat it. If it isn’t tasty, it will not be consumed by the animal, and will not do any good growing cobwebs in the mineral feeder.